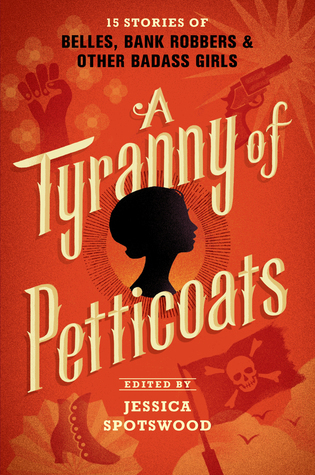 This is a really fun, clearly well-researched anthology of teenage girls across American history, beginning before the Revolution and ending in the 1960s. I’d only heard of two of the authors before, and hadn’t read any of their work, so this was also a great sampling of different women YA writers. I read in a Goodreads review of this book that the stories feel more like samplings of larger novels, and I think that’s very true for many of the stories–but for me, that’s a positive. 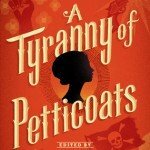 The stories feel like snapshots of different girls’ lives at various parts in American history, and in different genres. For someone interested in a range of genres–or for someone who is reluctant to branch out of their reading habits–this book could be a great introduction to historical fiction or fantasy. I also really appreciate how diverse the characters in the collection are, on pretty much every level: racially and culturally, but also socio-economically and regionally. There are stories about girls passing as boys, stories about girls avoiding marriage, stories about girls embracing marriage, and some fantastic stories about supernatural creatures, including an adaptation of the Three Fates. The settings range from Gold Rush Alaska to a group of Black Panthers to a pirate ship. I deeply felt that I was reading stories and histories of people I hadn’t read or learned about before, which was a pretty exciting experience. The level of detail and historical grounding of the stories was impressive; the end of each story has a short note from the author about their inspiration and research process. I consider myself to have a fairly solid knowledge of American history (although it could be stronger, as studying for the Social Studies CSET is showing me), but I learned quite a bit from many of the stories. Any of these stories would be perfect to go alongside any period of American History. Even the speculative fiction ones can generate a lot of discussion about why the author chose to pair that fantasy element with that specific time in history, as well as spurring conversations about alternative histories. A great way to end a unit would be to have students write their own research based short stories, complete with author’s note like in the anthology. Students could put together their own stories into a book like this one, with a similar organizing principle (the way awesome young women is for this book). Additionally, the stories in this book could be used to challenge the traditional textbook narrative of history, and to learn about perspective and how the narrative changes when it’s told from the perspective of an oppressed group. A unit like that could center on this book, or on a work like Hamilton. Looking at Hamilton and the way people of color and women are placed at the center of history, and comparing it to the stories in this book–and/or another major work that centers on marginalized groups–could be the foundation of a unit, or the throughline for the year’s theme. I love teaching Ancient History and, being a Classics major, that’s my expertise, but this anthology is the kind of work that makes me jealous of American History teachers. No AR for this book–it might be too new for that. I think it’s fine for middle schoolers, given the subject matter and historical grounding.